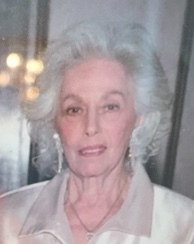 Georgianna (nee Scarlata) passed on April 4, 2019. Devoted wife of 66 years to the late Samuel. Loving mother of Steven DeVito, Georgiana (Nicholas) Cataldi-DeVito, John DeVito, Robert (Maria) DeVito. Grandmother Steven (Dawn) DeVito, Georgiann (Jim) Raso, Jade DeVito, Capri DeVito. Great Grandmother Steven, Giavanna, Alexa, James, Chase. Viewing Monday 9:00am at Holy Spirit Church, 19th and Hartranft Sts.